Imagine a quiet January, they said. Likely not much happening, they said. On track to achieve our targets, they said. And then 2018 began, and could have ended, when Gaetano Berardi’s goal at Newport awoke the Four Horsemen of the Apocalypse. Deciding that Berardi scoring didn’t mean the end of the world after all, they went back to tending their steeds, satisfied that enough chaos would be brought that Sunday without them. They must have seen United’s line-up. An FA Cup embarrassment, players disgracing themselves — Cameron Borthwick-Jackson, I mean, but I suppose Samu Saiz as well — a serious injury to Luke Ayling; it’s the first week, and it’s been the worst week. One grace, kind of, has been our transfer activity. 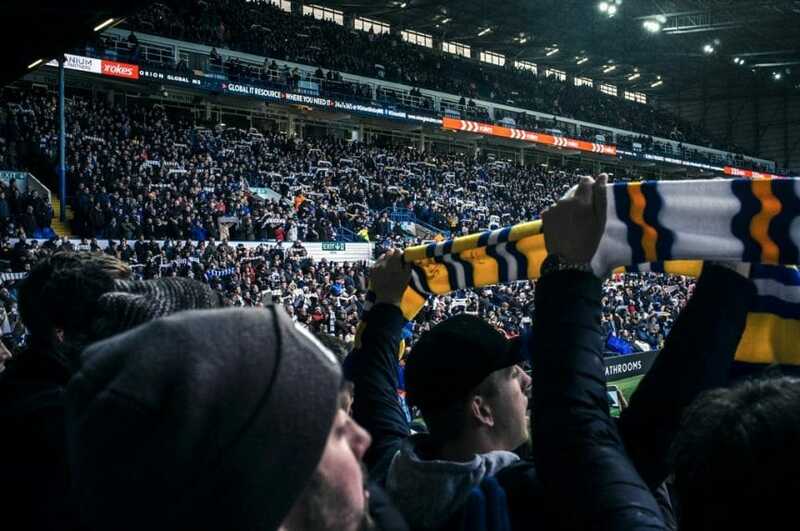 Its expected lack already had Leeds fans angry, desperate for recruitment and refreshment of a jaded first eleven, and for a chance of promotion — however slim — not to be missed. Or even just to have a left-back playing left-back. There seemed no point getting any hopes up for new signings, but then they came, four of them: not Horsemen of the Apocalypse, but just as unexpected. But then, one by one, they went away again. Aapo Halme! to the Under-23s. Yosuke Ideguchi! to Cultural Leonesa. Yuta Toyokawa! to KAS Eupen. Laurens De Bock! to the pub. Actually, De Bock is staying, and highly likely to be playing, as he’s a left-back and we don’t have anybody else. “I think my strength is my tackling, so hopefully the fans like it here, and I also like rough football,” says Laurens, as if reading from a list of the right things. “Every day now, let’s get drunk!” he said, back when his old club Bruges won the league, another right thing to say. A formation change to 3-5-2 has left De Bock out of Bruges’ first team, and miserable, and just about the ideal January signing: we can at least hope he wasn’t out of the team because he was crap. He arrives with a strong record of decent transfer fees, good character, high regard and competition for his signature, so Leeds can face Ipswich on Saturday with Berardi on one side of defence and De Bock on the other, and hopefully we won’t feel a thing without Ayling. That’s one of the four. Of the others, Aapo Halme, a tall centre-back from Finland, has followed what’s becoming a usual route. Unveiled to the fans, he’s then spirited away to the Under-23s, while we look at the first team and think, wait, hold on, couldn’t he, and if he can’t, then why, and if he, then why not Grot, and what the, and why the, and isn’t he tall. That the Under-23s now operate like a separate club takes some getting used to, but it’s becoming easier to think of Carlos Corberan’s crew as a place we send our youngsters out to on loan. It’s not a reserve team anymore, which is a problem for our reserves, but a finishing school for our Academy graduates, a rehab clinic for players who haven’t made the grade elsewhere, a stock room for young Europeans that might come good but probably won’t, and now a greenhouse for Finnish prospects. It also doesn’t win many football matches, but that’s not supposed to be the point: the point is to have a higher quality team in which potential stars like Jamie Shackleton and Jack Clarke can prosper, rather than retaining youth players past the age of eighteen just to make up the numbers around them. It’s like our own, in-house Cultural Leonesa, which is where Yosuke Ideguchi has gone, clutching his Football League work-permit, leaving behind a strong sense of, wah? We didn’t imagine it; he was definitely at Elland Road this week, we saw him, walking around the stadium and doing the Leeds salute. A highly rated international midfielder whose value is expected to rise at the World Cup: he’s Gary McAllister with a bleach crop. Actually, he’s more defensive than McAllister, a box to box midfielder who can tackle but also create, and as such sounds perfect to take over from Eunan O’Kane. A work permit was presumed to be the problem with that, and loaning him out until he qualified the ideal solution; but now the work permit isn’t the problem, and nobody knows what sending him to the bottom of Segunda Liga is supposed to solve. “Yosuke has been in pre-season as the Japanese league ended in December and at this moment in time we already have good competition for places in our midfield,” Victor Orta explained to the official website, although my understanding is that a league ending in December makes this post-season. But whatever. “We have seen good performances from Eunan O’Kane, Ronaldo Vieira and Kalvin Phillips, with Mateuz Klich also available for selection” — ouch! Also, it’s Mateusz. Spell his name right when you’re pouring his hot tea — “Therefore it might be hard for Yosuke to get the game time he needs in the build up to the World Cup. Some might wonder whether a player who can’t dislodge Kalvin Phillips from a Championship midfield should be going to a World Cup anyway, or whether a player renowned for toughness, and who I watched kicking Neymar about in a recent friendly international, really needs time to adapt to a physical league. But this course of action has been determined since the moment Ideguchi’s name was linked, and Leeds United seem set on it. Or at least, somebody involved with Leeds United somewhere seems set on it. Ideguchi’s destination is Cultural Leonesa, one of the clubs in what our official website called “a network which features some of the biggest and best clubs in Europe.” That’s Cultural Leonesa, KAS Eupen in Belgium, and us, the three European clubs with formal links to Aspire Academy in Qatar; Aspire own the first two outright, but don’t own us, as far as anyone is aware. Elsewhere in the world, Independiente Del Valle in Ecuador are partners, along with Delhi Dynamos in India. It’s “a network of clubs which can only help us to develop and grow,” according to our managing director Angus Kinnear. Maybe, but Leonesa are one place and two points above Segunda Liga’s four relegation places, and perhaps their need in midfield is greater. Ouasim Bouy didn’t help them much, playing around 150 minutes in four league and cup appearances, before his season-long loan was cut short and he returned to his parent club. That’s us, by the way. It’s mystifying to our usual understanding of a football club, that their should be players registered to the team for months without the manager ever meeting them. I suppose it’s no different to a replacement manager arriving while, say, Lewie Coyle is out on loan at Fleetwood; it just feels different, because Christiansen was here when Bouy came. Christiansen seems comfortable with it; with both injuries and transfers, he seems satisfied to let the physios and Victor Orta tell him who is available for his squad week by week. He won’t be distracted by the idea of Ideguchi dominating Championship midfields until they meet after the World Cup for preseason training. But it’s hard for fans to maintain that kind of focus, or to understand that lack of control. Now we’ve learned, through the Ideguchi transfer, that the Football League won’t register a player who isn’t eligible for a work permit, it’s hard to see how it would be possible for Leeds to be involved in this move: with no international caps, and a career spent mostly in the J2 League, Toyokawa is miles away from getting a work permit. And besides, Leeds United say this is nothing to do with them. But KAS Eupen have been owned outright by Aspire since 2012, and within a week of formally announcing our linkup, somebody at Eupen had the confidence to report this on their website. KAS Eupen are currently in Doha, using Aspire’s stupendous facilities for their winter training camp. Bayern Munich were there a few weeks ago. Toyokawa is with them, while Eupen’s website reports on some more new signings: “Two more internationals from Qatar’s U23 team have joined KAS Eupen and will play in Eupen’s U21 team”, following two who arrived in mid-December, and joining a club whose first team squad contains seventeen players with backgrounds either at Aspire Academy itself or other clubs in Qatar and Senegal, Aspire’s two centres of operation. Aspire haven’t owned Leonesa as long, only since 2015, and at the moment their first team only contains two players easily identified as coming from Qatar: Ahmad Yasser, a centre-half with 23 caps, and Ahmad Doozandeh, a midfielder with one, who joined in the summer after earlier spending three years at Eupen. That doesn’t include Ideguchi, though, and his and Leeds United’s place in the unfurling network of maturing Qatari internationals being distributed between Belgium and Spain isn’t clear. And that lack of clarity is the note on which this ends. If you were expecting a neat summary of what this all means for Leeds United then, um, sorry. I can’t hope to offer any deeper analysis than French football journalist Phillipe Auclair, who mentioned our link to Aspire on the Guardian Football Weekly, sounding surprised and describing it as “A move that perhaps should be looked into with a little bit more caution,” but suggesting nothing more specific than that it should have an eye kept on it.